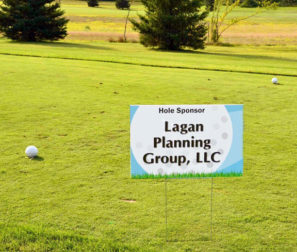 You need a sign to thank sponsors at your Golf Outing or Fundraiser ?....Call us! Make sure your sponsors get the recognition they deserve with a great looking Sponsor Sign. We will help you create the sign of your vision, no matter the size, shape, or color of ink! These signs are printed to sustain the weather elements.